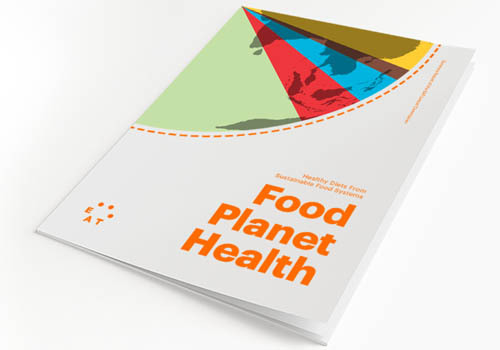 Mid-January, the EAT-Lancet Commission on Food, Planet, Health has published a first set of scientific targets for healthy diets and food production. Following these targets, the world can provide a growing world population with healthy diets, while preserving environmental sustainability on earth. However, this will require substantial dietary shifts as well as ‘a new agricultural revolution’ that is based on sustainable intensification and is driven by sustainability and diversification. According to the commission this means that, agriculture should be reoriented toward a variety of nutritious food that enhance biodiversity rather than aiming for increased volume of a few crops. The targets set by the EAT-Lancet Commission are in line with the Sustainable Development Goals, and define a safe operating space for a food system that ensures human dietary health and environmental sustainability. The commission places crop diversity at the forefront of adaptation solutions: “New and improved crop varieties are needed that can withstand challenges that climate change will pose to global food security,” the commission writes. “Developing crop varieties that can withstand heat, drought, flood and other extreme weather events might be the most important step to adapt to climate change”. Sustainable intensification in short means producing more food with lesser input. Improved crop varieties in combination with improved agricultural practices play a key role in reducing the amount of land, water and fertiliser used in food production. Seed companies can play a key role in developing and disseminating new crop varieties as well as in training farmers to adopt new production techniques. Finally, the dietary scenarios put forward by the commission include large increase in production of nutritionally important crops such as legumes and vegetables. The global seed industry can do more to address this need for diversification by supplying a larger number of crops and varieties, and redirecting investment towards legumes and local crops, which are currently largely neglected by global seed companies.